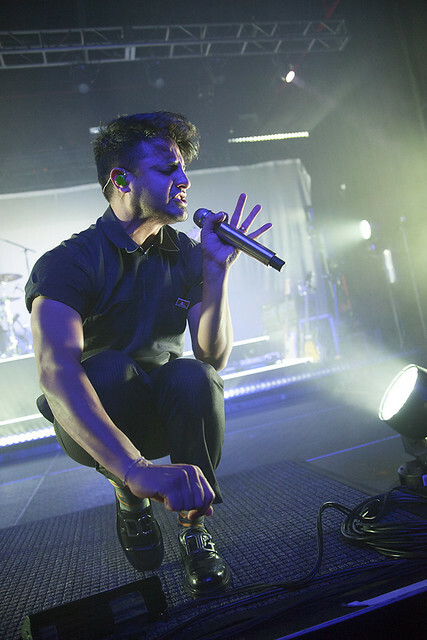 Indie sweethearts Young the Giant & Lights team up at the Fillmore Charlotte Reviewed by Sheila Walsh on November 4, 2018 . In addition: welcome back, Party Nails! Indie superstardom is somewhat of an oxymoron, but a very accurate label is applied to a handful of bands. 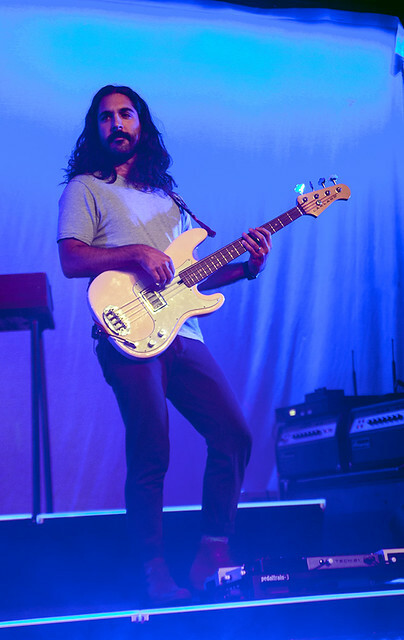 Case in point: LA rock band Young the Giant (Elektra). The five piece band started out as The Jakes before signing with Roadrunner records in 2009 and releasing their eponymous debut album a year later. 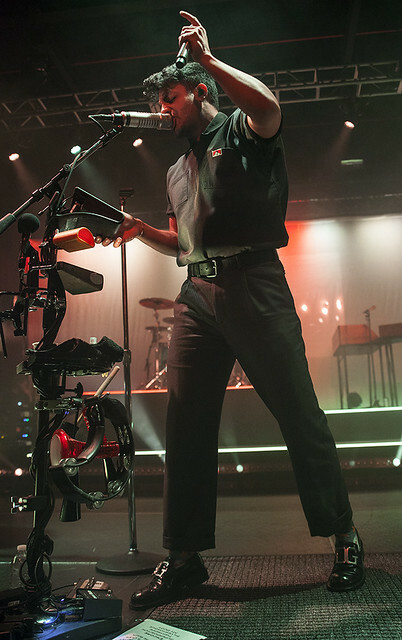 The phenomenon of indie stardom comes the from a band’s ability to chart songs, sell out mid-size venues, and still remain somewhat unknown to the general public. 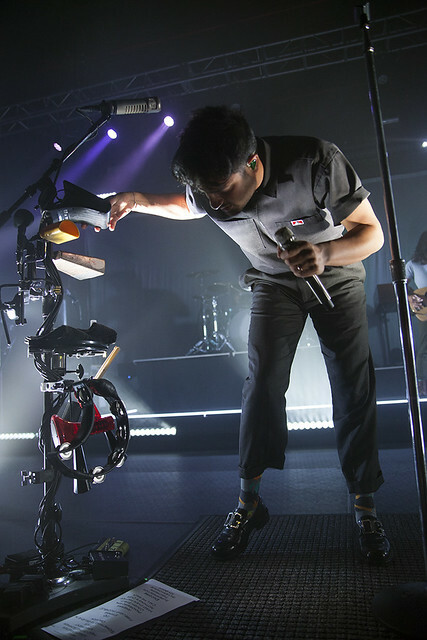 This phenomenon occured Friday night at the Fillmore Charlotte, as a veteran Young the Giant sold out the LiveNation venue alongside another indie superstar, by definition. 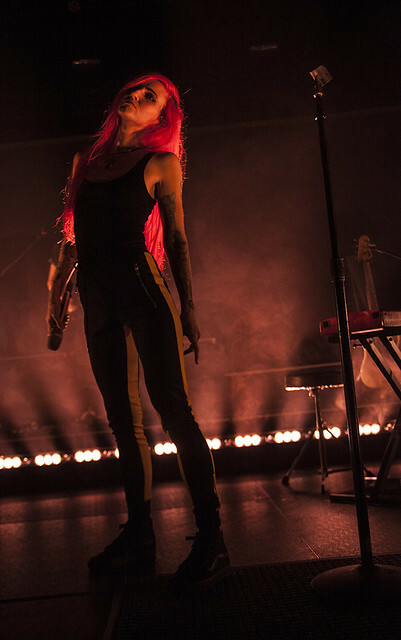 Canadian songwriter, comic book author, and illustrator Lights (Warner Bros.) hopped on tour with YTG, both promoting their latest records and even a comic book signing for Lights. Opening up the show every night is West Coast alt pop singer Party Nails. 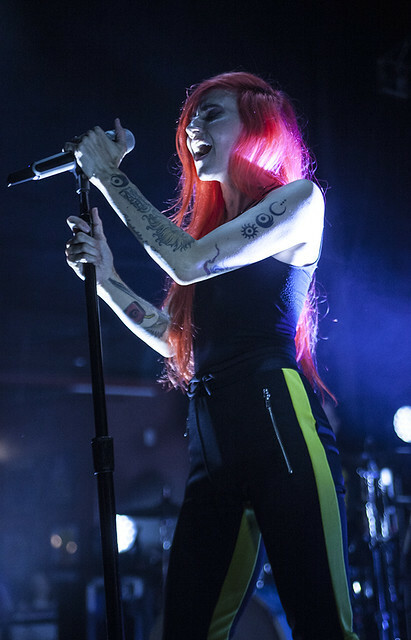 Having played the Fillmore Charlotte last year, with Lights in fact, the night was more like a “Welcome Back” party than a show. 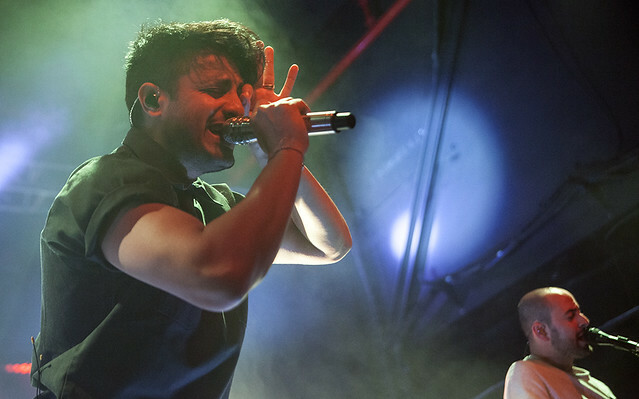 Young the Giant is currently in the midst of a heavy touring cycle, promoting their 2018 release Mirror Master. Though critics haven’t been crazy about the record, fans of the band pay no attention to the reviews and sold out the venue anyway. Opening up the night with the lead single “Mirror Master” before whirling through crowd favorites like “Titus Was Born”, the anthemic “Something To Believe In”, and “Simplify”. 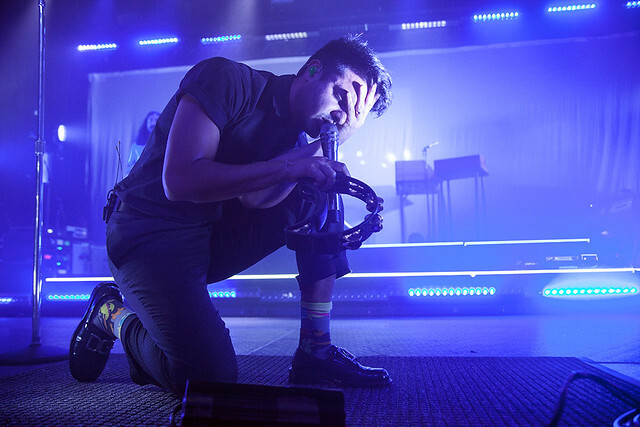 The setlist for a band like YTG must be difficult to put together; YTG fans are simultaneously never happy with the setlist and completely stoked to hear some of the songs over and over again, i.e. “Cough Syrup”, “Tightrope” and “Mind Over Matter”. 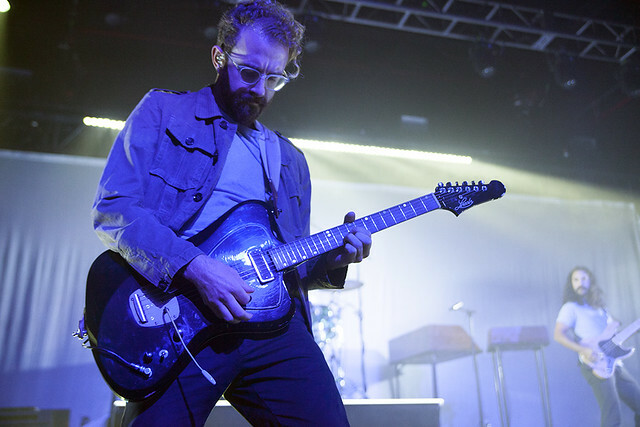 The band closed out the night with “Silvertongue” and the song that started it all – “My Body”. 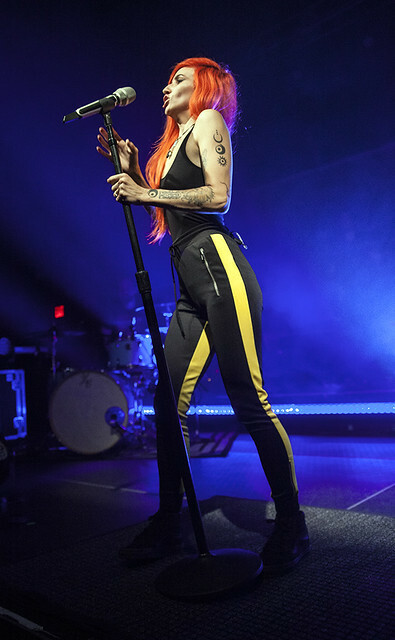 Lights, yet another example of being a music giant in the understream, is also promoting new material, though she’s nearing the end of the cycle and two-timing her promotional efforts. 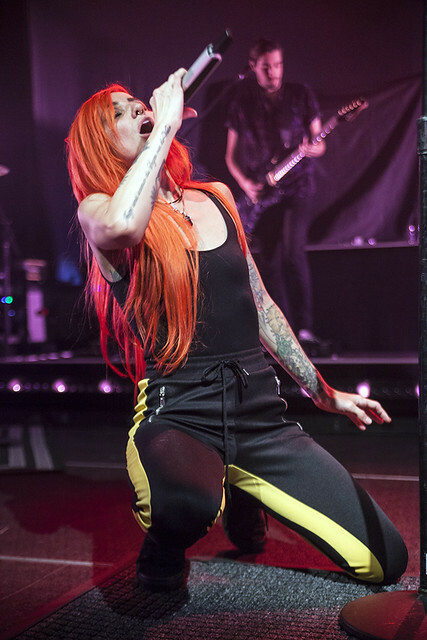 Her fourth studio album, Skin & Earth, was released on 2017, as was her comic book of the same name. New music was released on a monthly basis, tied with a snippet from her comic book, until the album was released. Singles “Skydiving”, “Giants”, “Savage”, and “New Fears” all charted upon release, while “Fight Club” found a feature in Just Dance 2018. 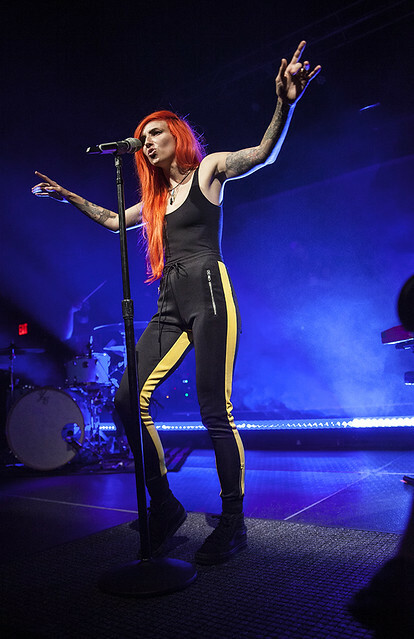 Opening up her set with a throwback to Little Machines, and a bonus track at that, “From All Sides” was Charlotte’s first intro to Lights since she toured with PVRIS back in 2017. She quickly moved to singles from Skin & Earth, with the danciest track form the album “Until The Light” and the most soulful track from the album New Fears”. The vengeful “Savage” came and went as we moved to the album’s anthemic “Skydiving”. 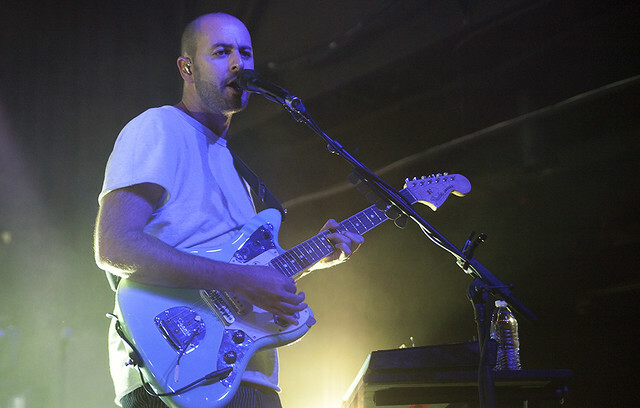 The only other non-Skin & Earth track came and went in the form of “Running With The Boys” before Lights ended the night with four more tracks from the newest release, ending with “Giants”. There are two weeks of shows left on this indie superstar run, as well as a handful of comic book signings if that’s your cup of tea. Grab your tickets here and dance it up for us in the pit!